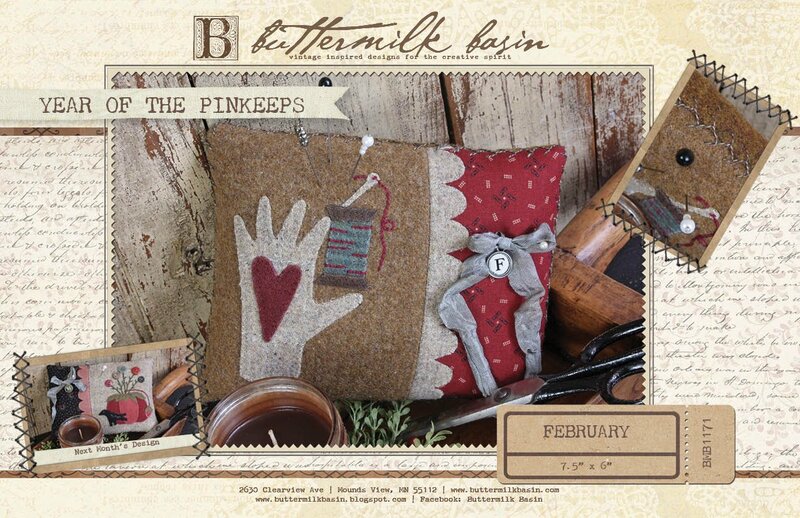 This series of pinkeeps are the perfect size to tuck in any where and can be stitch up quickly! 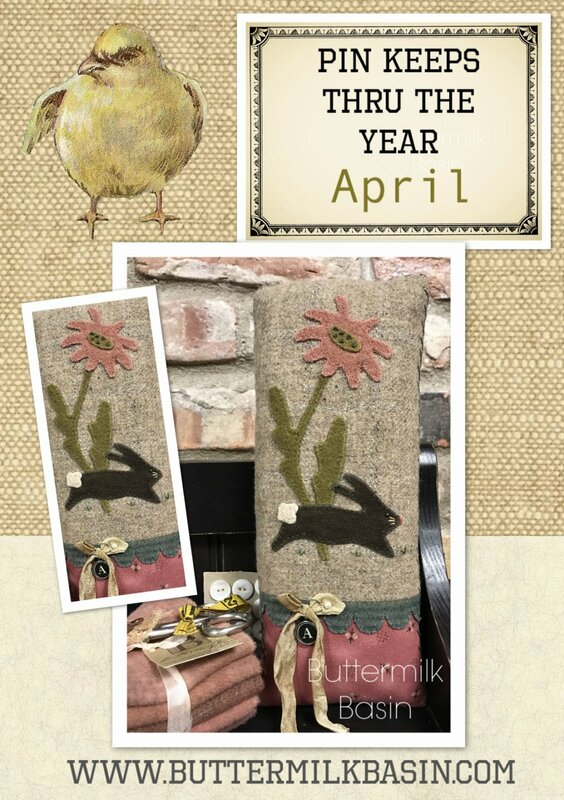 You can add to your collection each month! 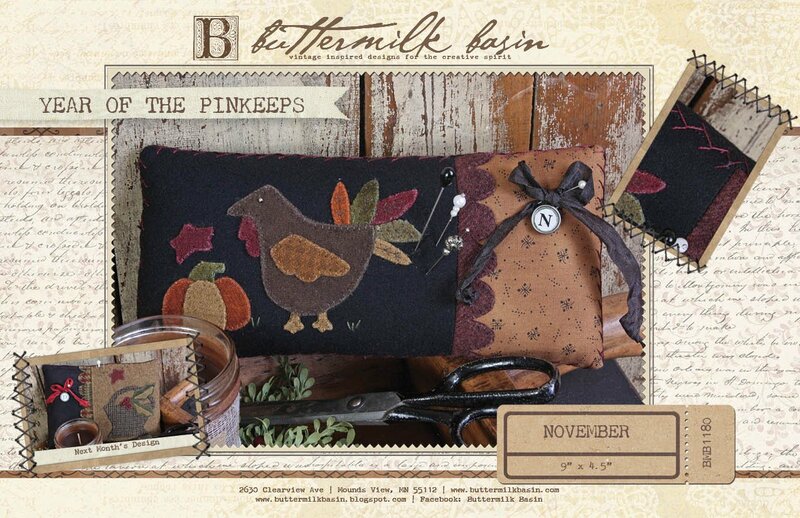 Wool kit & Pattern included. 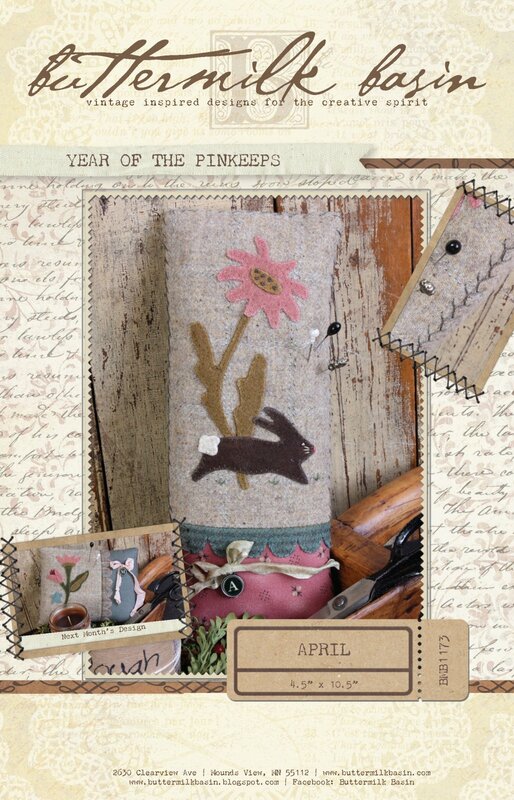 The Flower Pinkeep will be a great addition to your pincushion collection, or set on a shelf or in a bowl to enjoy anywhere in your home! 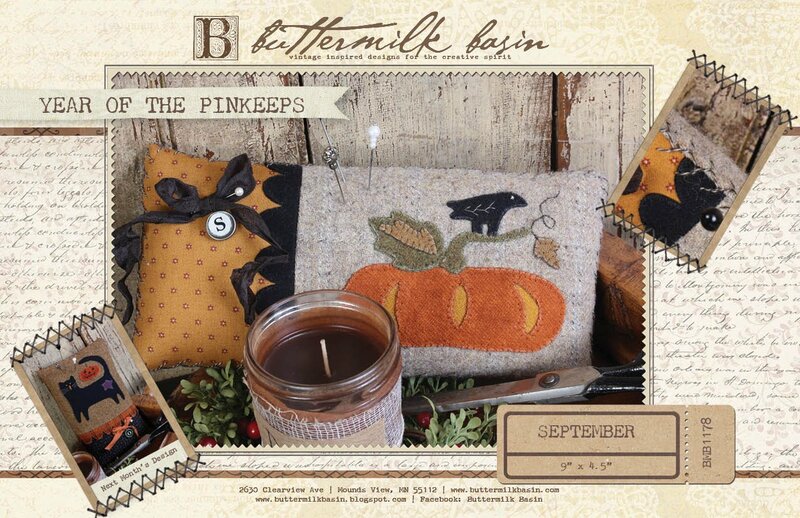 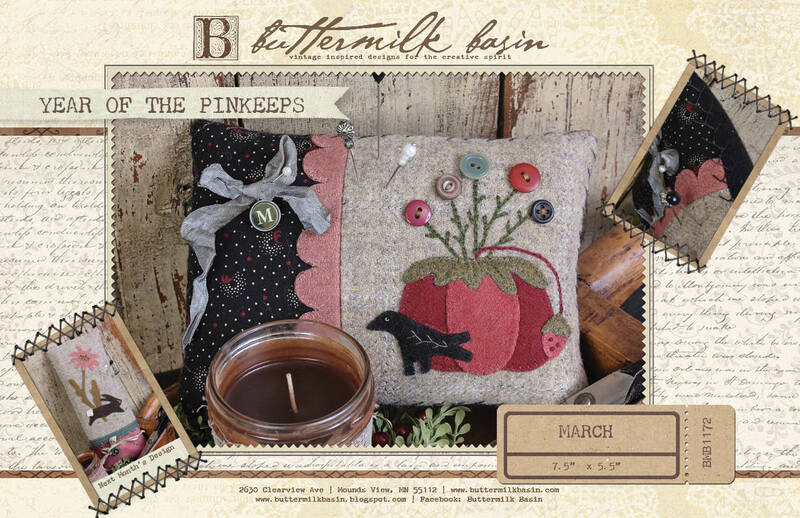 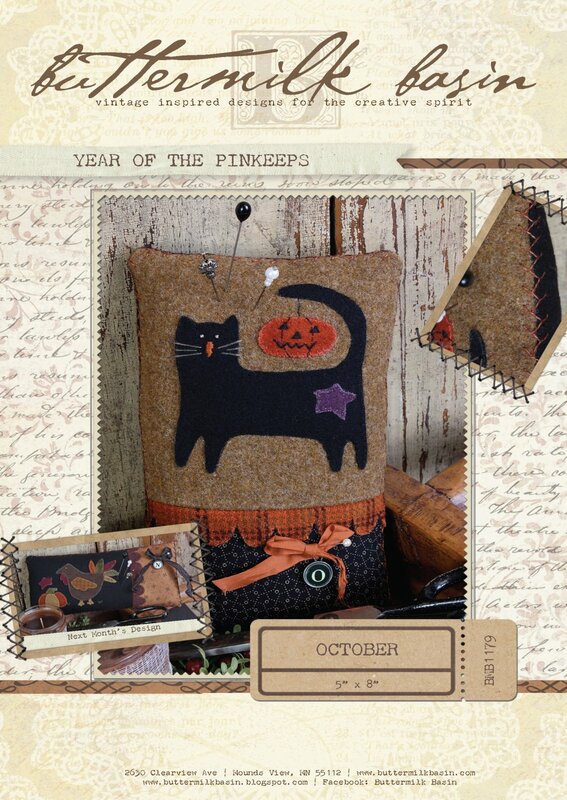 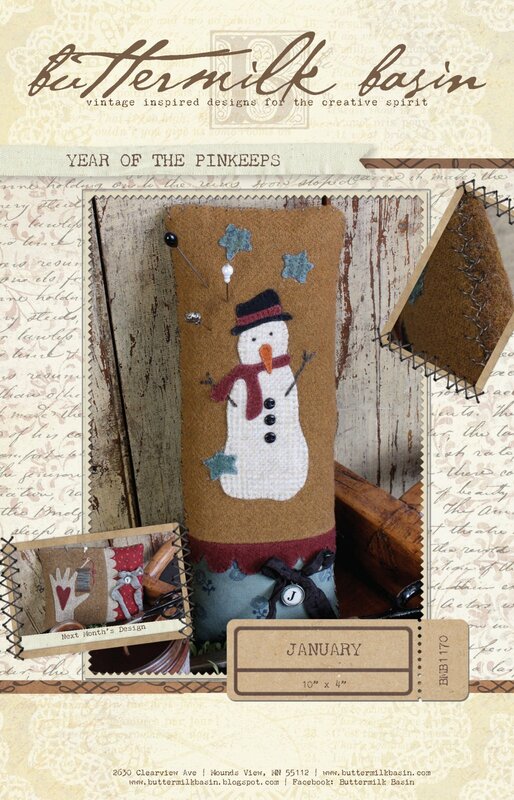 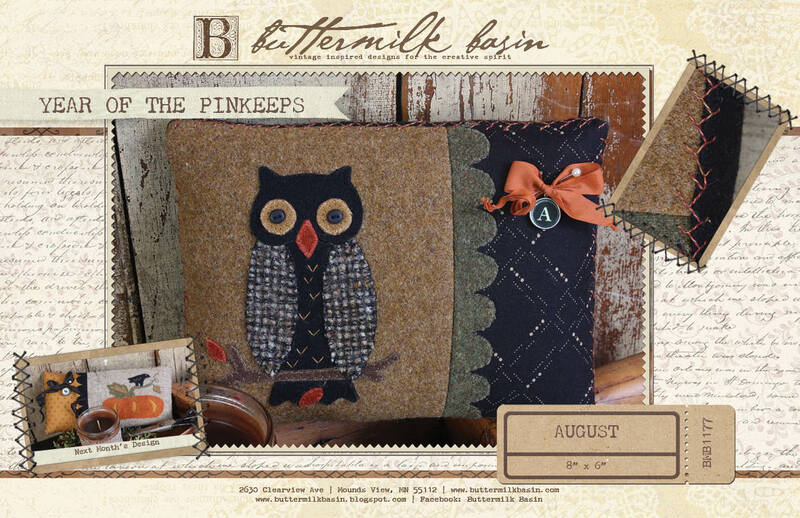 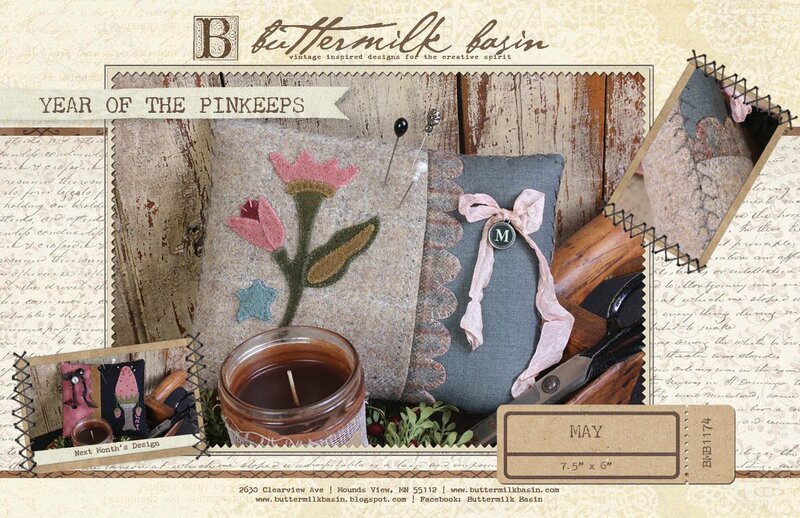 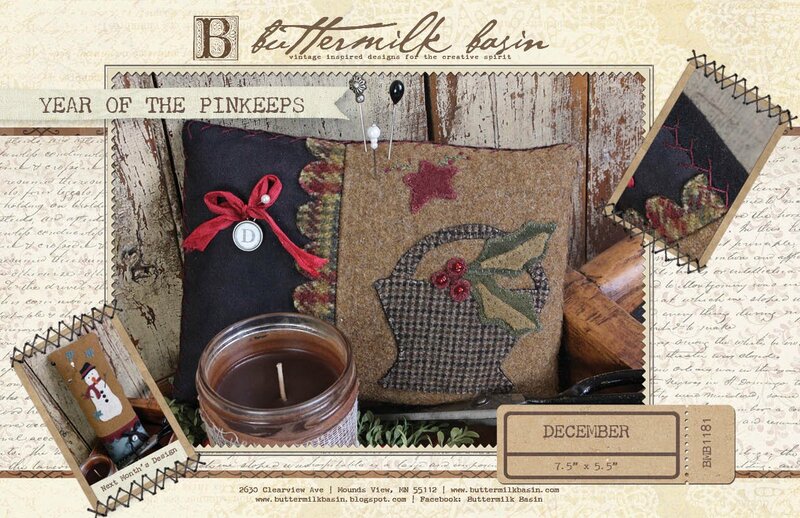 The pinkeep is 6" x 7.5" and the kit contains the pattern, fabric, and wool to make the pinkeep. 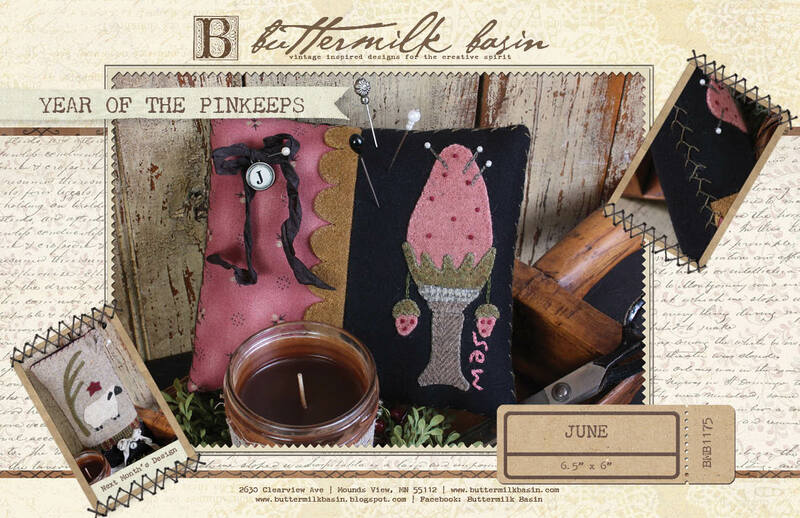 This 6" x 6.5" Strawberry Pinkeep will be a fabulous addition to your pinkeep collection! 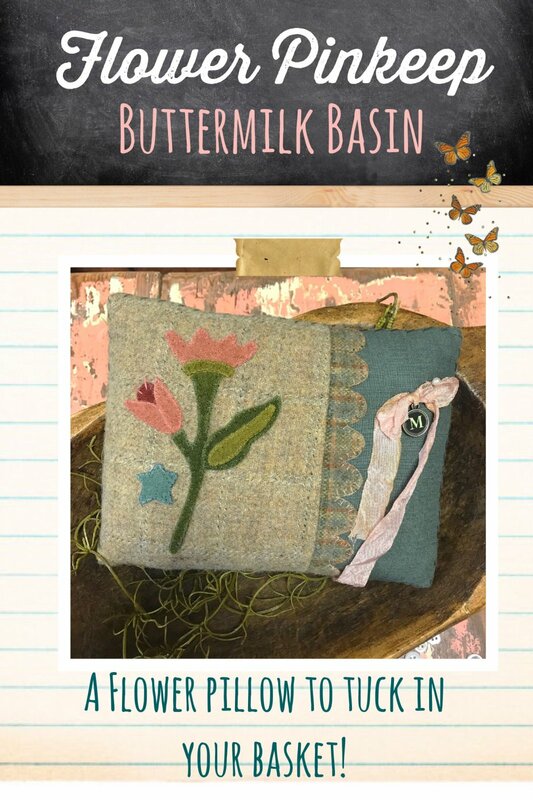 Made of fabric and wool, with pretty stitching, you can also display this throughout your home! 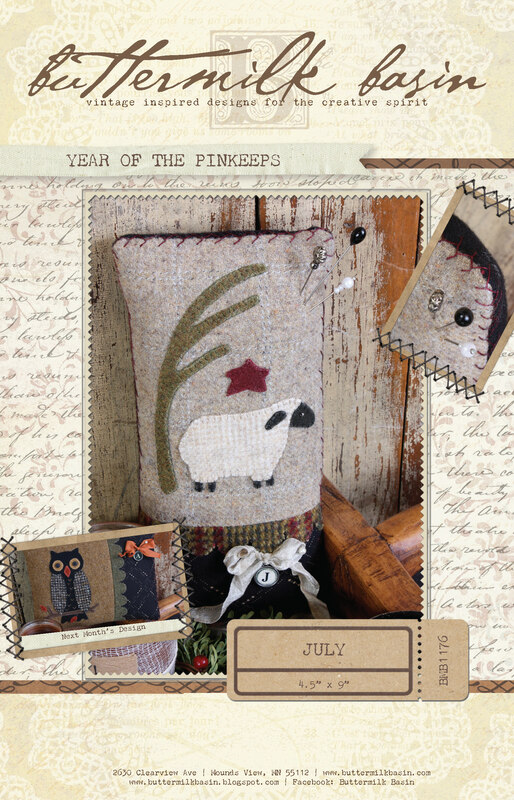 The kit contains the fabric and wool.